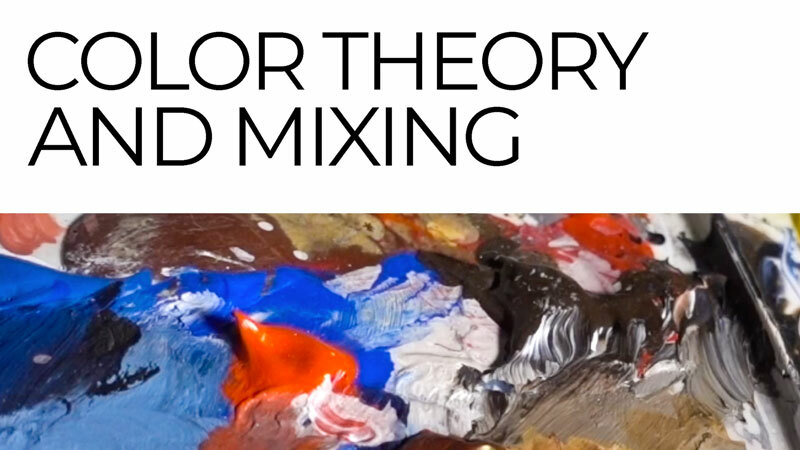 Learn the basics of color theory and how to mix colors using both warm and cool primaries. Expert color mixer, artist, and instructor, Ashley Hurst shares his expertise in this fun and informative hour-long crash course. Alizarin Crimson…. is that a single index pigment or a Hue mix (ie PR122/PR206/PG7) ?? We were using the pure pigment. This was very enjoyable and informative. Thank you. You make a good team. That was very interesting, informing and funny to watch. Thank you to you two. Thank you very much for the great information on color theory. This was very interesting!!!! Awesome! Thanks Lamar, it was fun! Thank you, both, for this color mixing lesson! I’m sure I’ll be watching it many times over! Awesome sauce! I’ve been changing the natural color of things since I was old enough to spit English peas and blueberries into my little fists said my mom, I have a tendency to believe her cause I still have to fight myself not to spit them to this day lol. I Absolutely LOVE COLOUR I love to play with it, change it, use it, be used by it! COLOUR ROCKS MY WORLD! I have actually come here to hopefully learn a bit more about the enemy of mine drawing. When I first found you years ago I couldn’t even draw a stick man well lol. But from your free demos I drew the most gorgeous Apple with Prismas, my roommate, companion, actually wanted to frame the darn thing. That’s when O knew as soon as finances would allow I was in and here I am. I’m very excited please forgive the NOVEL. Nice Joshua! Love to hear things like this! Why is my subscription showing expired when I paid for it. Hi Mary, We’ve sent you an email regarding your account. I can’t download this video. I liked this leasson was very interesting, thank you. Cad yellow light or medium? Cad red light or medium? You can now purchase Liquitex non cad colors that are a pretty good match. In California, they led the way to labeling paint with Cadmium. I appreciate this as I work with adults and children with special needs and toxins are pretty important consideration. Thanks for the informative lesson!